HANDS-ON-BOOKS: Nonfiction for Kids with Fun Activities: Would Theodore Roosevelt Shoot Cecil the Lion? Would Theodore Roosevelt Shoot Cecil the Lion? The news that a big game hunter shot a beloved lion in Zimbabwe sparked monumental criticism last week. The killing uncovered a long-time practice of big game hunting – this particular hunt certainly scandalous if news reports prove correct. When I wrote about President Theodore Roosevelt for middle grade kids, I included a photo of the president with a pair of dead cheetahs at his feet. It’s not a pretty picture to our eyes in 2015. But it’s part of Roosevelt’s story, and so it has a place in my book. It’s no secret that TR adored wilderness adventures of all kinds – big game hunting included. In 1910, the president made a famous safari through Africa and shot more than 500 animals. As a matter of fact, many of them ended up in exhibits in the American Museum of Natural History and other museums nationwide. The president used a hippo foot as an inkwell, and his home and office were adorned with animal heads, antlers, and the like. Others in Africa condemned him for overhunting, especially when the president and his son Kermit shot nine adult and young rare white rhinos. The former president was known to be a “wild shot” who didn’t always follow the unwritten rules among big game hunters in Africa. I like to remind people who would gasp in horror that a president could keep an animal’s foot on his desk that one must judge a man or woman in the context of the time – just as other hunters judged TR. A century ago, to go on a big game hunt, on foot tracking animals, was a rare and sometimes dangerous privilege. But would a Theodore Roosevelt of today approve of a lion being lured from an animal preserve into an unmonitored area to be shot? I wonder. TR, like many hunters, was also a dedicated conservationist who I’d like to think in our time would respect the legal and moral boundaries of killing protected animals. 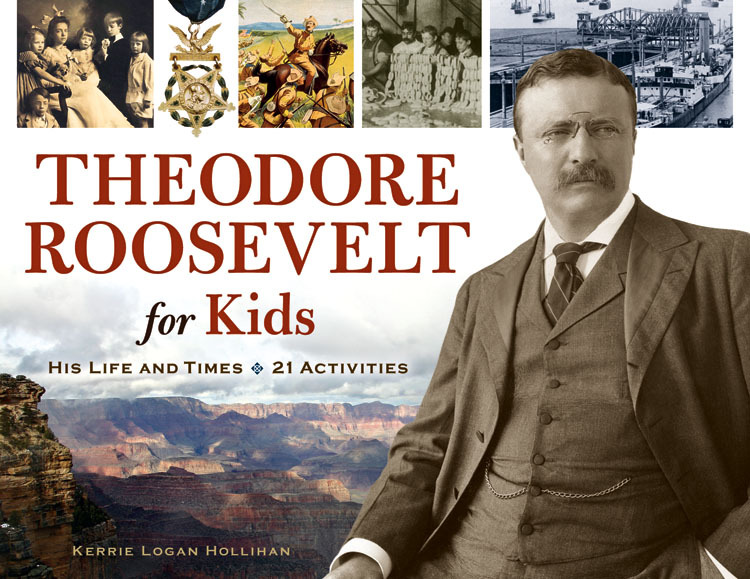 For a happy alternative, check out this activity From Theodore Roosevelt for Kids: His Life &amp; Times with 21 Activities. It’s a better way to go big-game hunting – at the zoo – with a camera plus a “pigskin” notebook!